Is Mandatory Vacation Time a Good Work Benefit? With growing research to support the desirability of work-life balance, many companies are coming up with innovative ways to make employees happy and still maintain productivity. Medical insurance and flexible work hours are important, but paid time off consistently ranks high on the list of benefits employees value most. Some businesses offer unlimited vacation time to encourage work-life balance, but that can actually lead to employees taking even less time off. Aviation strategy firm SimpliFlying decided to address the paradox by experimenting with a mandatory time-off policy designed to financially impact employees who didn’t take the vacation time they had earned. The company only paid people for their time off if they also turned off work email, messaging platforms and any other methods workers use to stay in touch with the office. That may seem like a glorious perk — but is it? Though rare, compulsory time off isn’t a completely new idea. For instance, the Federal Deposit Insurance Corp. mandates that workers in the financial industry take off two consecutive weeks of work as part of its fraud protection policy. The biggest benefit (pardon the pun) of mandatory time off is the ability to enjoy your vacation guilt-free. After all, it’s pretty difficult to feel like you’re letting your team down when your boss mandates your absence. SimpliFlying CEO Shashank Nigam says just 12 weeks after the vacation policy went into effect, employees were already reporting they felt happier and more productive. Many even wrote blog posts about how they “finally found time to cross things off of their bucket lists — finally holding an art exhibition, learning a new language, or traveling somewhere they’d never been before,” says Nigam. But there’s a downside Nigam’s experiment. To make sure teams were never left in the lurch while people were out of the office, SimpliFlying chose vacation dates for all its workers rather than allowing them to schedule the dates they wanted. Prescheduled paid time off might not be a big deal if you have a fondness for spontaneity and wanderlust in your heart. 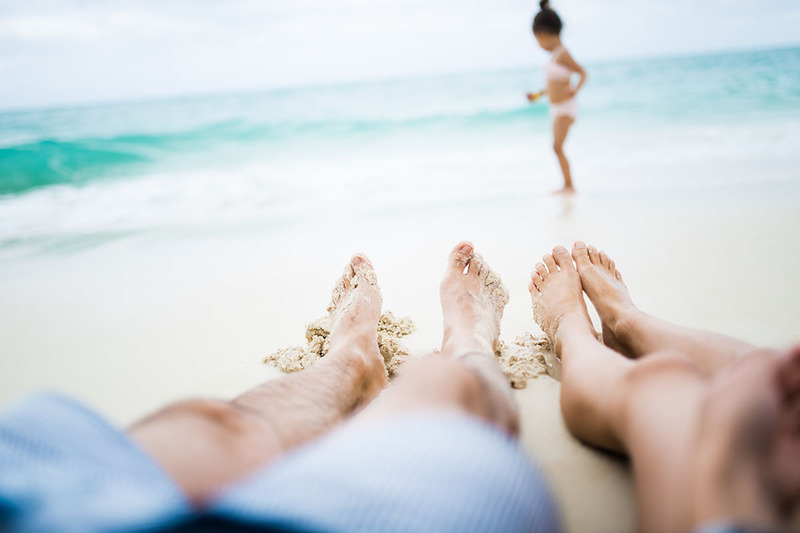 But if you’ve got family responsibilities or school schedules to consider, prescheduled vacation time might not be a worthwhile benefit at all. Paid time off is a workplace trend I hope will keep growing. Dictating exactly when employees can take vacation, though? I just can’t get behind that. What’s the point of taking time off if I can’t coordinate it with the people I want to spend it with or things I plan to do? That seems completely counterproductive to a stress-free vacation, if you ask me. Nigam says the experiment taught him that it’s important to stagger vacation times so teams aren’t missing too many people all at once. He also decided to send people on vacation every eight weeks instead of the original seven. SimplyFlying employees must have been OK with preselected vacation dates because Nigam appears to be including that in the new vacation policy. Of course, using up your allotted vacation time is only one part of finding work-life balance. You can also reduce work-related stress by regularly practicing mindfulness and remembering that if your job is really stressing you out, at least you aren’t alone. Lisa McGreevy is a staff writer at The Penny Hoarder. She never needs to be encouraged to take vacation time but admits she still checks her work messages when she’s off.